Master’s Message: Those Who Have Gone Before | Federal Lodge No. 1, F.A.A.M. of Washington D.C.
“When the Lord closes a door, somewhere He opens a window,” a friend reminded me this week. Endings and beginnings touch each other in ways that highlight the energies that drive and guide our lives. Sometimes life seems to move too quickly or too slowly. Other times we wonder why certain events happen in the timing and sequence they do. 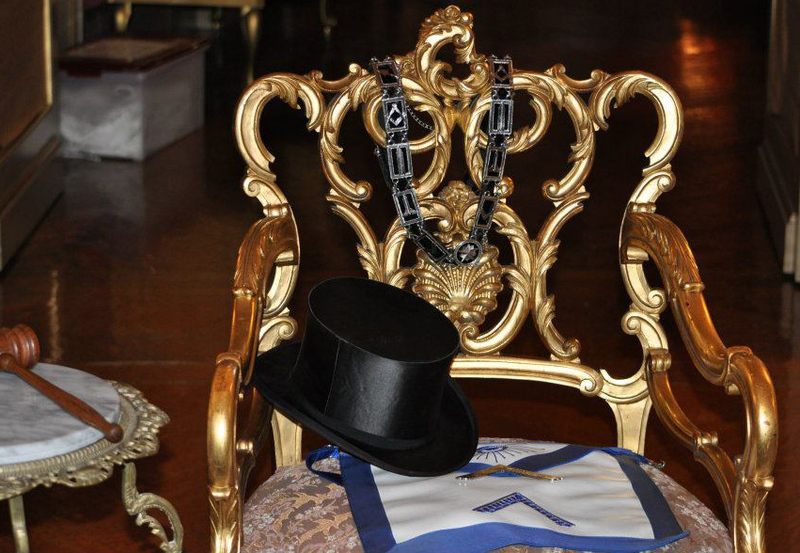 Nothing recently has so dramatically underscored this mysterious hint at the grand design than this lodge’s preparation for the end of one Masonic year and the beginning of a new one. Last Sunday, December 4, Ol’ Federal installed a new officer line. The chain of men leading the lodge remains unbroken after 219 years. All the Brothers who have gone before us, in a variety of ways beyond simply serving in a place or station, deserve our recognition for their labors. Those who labor in Masonry today, no matter where or how, and especially in a lodge like Ol’ Federal where history is a defining part of our collective identity, are able to do so only because of the work of countless men who are sometimes a handshake a way, and at other times separated by great distance. 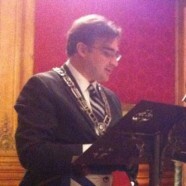 There is a joke in Freemasonry that goes something like “You know the installation to the station of Worshipful Master is the second happiest day of a Mason’s life, but the first is the day he installs his successor.” Worshipful Brother Michael Black deserves enthusiastic congratulations for an active and productive 2011. In our November 28th Communication Worshipful Brother Black recounted the successes in charity, social, and ritual events achieved by the members, committees, and officers of Federal Lodge. His focus on scholarship and making positive changes in the lives of Brothers is no small inspiration for me and what I hope to be a focus this year on working with our neighbors or partners, including many organizations who work to better the condition of men and of life within our communities. WB Michael Black joins the ranks of the lodge’s Past Masters, but his influence and his participation will not cease with the passing of the gavel. The mystical link that binds the past, present, and future is a difficult point on which to meditate. I have heard a lecture or two on the Kabbalah’s answers to the questions raised by life’s mysteries, as I bet many of you have as well. Among the Federal Brethren who have passed away this year, I was privileged to know Brother Hank Thomas and, to a lesser extent, Worshipful Brother Jim Gardner. To these Brethren, perhaps this mystery of past, present and future is no longer a mystery. For us, on the other hand, we are left with the best tools we can find, like our faith and Freemasonry, to understand the nature of things. I want to encourage you, my Brethren, to keep an open mind and to look for unexpected and desirable opportunities to use our tools, both within and without Freemasonry, when things seem unmanageable or it feels as though there is no way forward. That there is no scientific answer to life’s unknowns, even to the day-to-day struggles life throws us and including the challenges that arise within the workings of a Freemason’s lodge, should not be a source of apprehension. Our Masonic teachings offer fixed paths and beautiful tools with which we may work to comfort each other and ourselves as we continue our respective journeys from the darkness of the unknown to the light of understanding and Brotherhood. We all are about to begin a holiday season in which our respective faiths can inspire and guide us. It is a season where coincidentally Light is a prevailing theme. Let our prayers and meditations focus on the the noble task of honoring the work of those who have laid down their labors, as well as giving us the insight and inspiration to enable us to continue those labors today and on into the future.